Pereira, known as ‘the pearl of the Otun’, is the capital of Risaralda, and full of friendly people. There are many sites of interest to visit such as the Ukumari Park, Noah’s Farm an Eco centre and water park and Pereira Museum of Art. The town has a lively nightlife with fine restaurants and bars. There are opportunities to visit a local coffee farm and appreciate Colombia’s finest export. Touch, hear, smell, see, and taste some of the best coffee in the world. We set off at the start of the day walking along an old train route away from the city. Once on our bikes the route undulates with some long flat stretches. Alcala is characterized by a majestic Saman tree in the central square. The species grows prolifically in this area where the weather is warm. Our country hotel is 5km from the town. We head north from Alcala towards Salento. 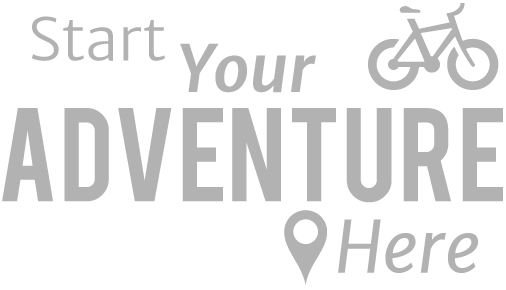 This is a relatively short cycle, our day begins with 5km of flat riding before an uphill cycle to visit to visit two key towns in the coffee axis: Quimbaya, a modern city and home of the National Coffee Culture Theme Park (PANACA) and Filandia with its beautiful main square. We continue north to reach Salento in the Quindío region a town with spectacular views of the surrounding area. We leave Salento downhill with a short climb before making a 20km descent towards our starting point Pereira, we pass through the centre of the town on mainly flat road continuing uphill to Santa Rosa de Cabal, a small, picturesque town, famous for its hot springs and delicious sausages. There are a few places of interest to visit in the city and nearby there are options for horse riding or swimming in a nearby river, we can also arrange for you to do a coffee tour or visit the nearby hot springs, or just kick back and enjoy the town cafes. Today will be our longest most enjoyable cycling day. We start with a gentle downhill ride out of Santa Rosa then cover 50km over undulating hillside. Along this stretch of our route we will enjoy stunning views as we journey through the coffee zone passing some of Colombia’s most beautiful plantations. The ride ends with a final 20km uphill. Risaralda is a pretty mountainside colonial town, with panoramic views of the Caldas and Risaralda regions: an expanse of mountains valleys and rivers. The town is famous for its botanical gardens, with native birds, important local plants (did you know there are over 100 species of native banana?) The town has a traditional Colombian galleria (Market) selling local produce. We set of with 15km of relatively flat road, as far as Anserma town. Here we begin a rugged climb descent over several peaks to reach Riosucio. 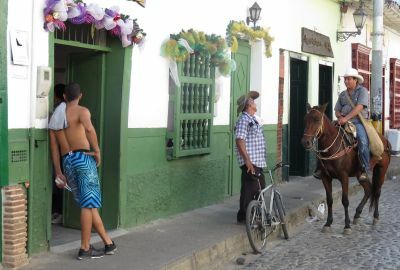 The town is famous for its biennial Carnival of the Devil, one of the most popular festivals in Colombia held in January and attended by thousands of Colombians. The celebration observes the unification of 2 rival communities. The area is also famous for traditional production of Guarapo: fermented sugar cane juice which carnival goers drink during the celebrations. We leave Rosucio cycling uphill for 22km continuing with a mix of climbs and descents for about 10km to a maximum height of 2,882m before we cycle downhill through Andean forest towards Jardin for the final 20k. We leave Jerico cycling downhill for the first 20 km. We cross over the river Cauca at Puento Iglesias (church bridge), one of Colombia’s largest rivers. From here we continue uphill to reach hill top town of Versalles, possibly passing through the clouds on our way. We’ll be rewarded for our efforts with sky high views of the surrounding countryside. 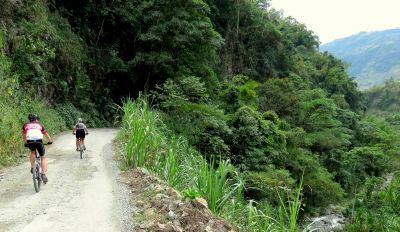 From Versalles we cycle on through the Antioquia region climbing the hillsides to reach El Carmen de Viboral a picturesque friendly town in idyllic pastoral surroundings. The area is rich in feldspar and Quart, minerals fundamental to the production of ceramics and El Carmen is renowned for its handmade products which feature in the town buildings and other structures as well as being sold as culinary wares. No two ceramic pieces will be identical as they are all hand painted. The town folk are known for their distinctive hazel/green eyes. ‘ojos verdes’. Leaving the hilltop cultural beacon of El Carmen we cycle an up and down route along curving roads that cut through the country side. After approximately 23km we descend toward the lakeside town El Penol. The artificial lake was built in the early 1960’s. There are numerous pursuits to engage in around the lake including hiking, biking, horseback riding, water sports and swimming. Cycling alongside the water we continue on to Guatape taking in stunning vistas of the dazzling 220 m high granite rock La Piedra. You can climb the 700 steps to its summit and enjoy stunning vistas over the reservoir. Guatape, is a distinctive colourful town in Colombia, characterised by the artwork that decorates the lower half of its buildings(zócalos). Enjoy a typical dish of freshwater fish, or other local delicacies. Our last day of cycling takes us the to vibrant city of Medellin. The first part of the day is a flat cycle for around 35km. Then it’s an uphill ride to the outskirts of Medellin before we make our final sweeping 20km descent into the 'City of Eternal Spring'. The tour ends this morning. We will arrange a transfer to the airport for your journey home.